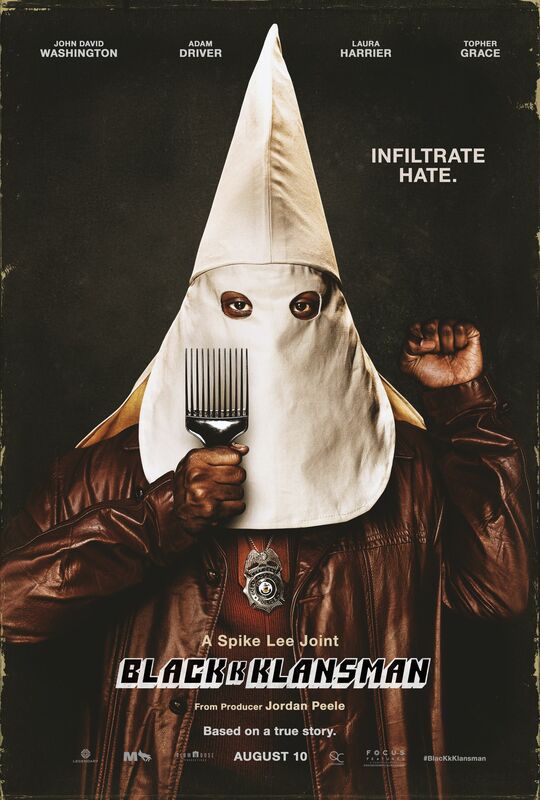 ‘BlacKkKlansman’ Movie Poster Isn’t Pulling Any Punches!! Check It Out!! | Welcome to Moviz Ark! ‘BlacKkKlansman’ Movie Poster Isn’t Pulling Any Punches!! Check It Out!! There’s an old saying that a picture is worth a thousand words. In movie marketing terms, a well-designed poster could well be worth millions of dollars. There are few better examples of 2018 movie posters that communicate the story, style, and tone more effectively than a synopsis ever could than this new poster for Spike Lee‘s provocative new title, BlacKkKlansman. Lee’s new film is based on retired police officer-turned-author Ron Stallworth and his book by the same title that chronicles his experiences as the first African-American police officer in the Colorado Springs Police Department and his infiltration of the KKK. Without even knowing that, you’d get a sense of it from this new poster. So while there’s not quite as much social and racial commentary going on here as there is in “This Is America”, it’s in the same ballpark. Starring John David Washington, Adam Driver, Laura Harrier and Topher Grace, BlacKkKlansman arrives in U.S. theaters on August 10th through Focus Features. ← Deadpool 2 (2018) Review! !